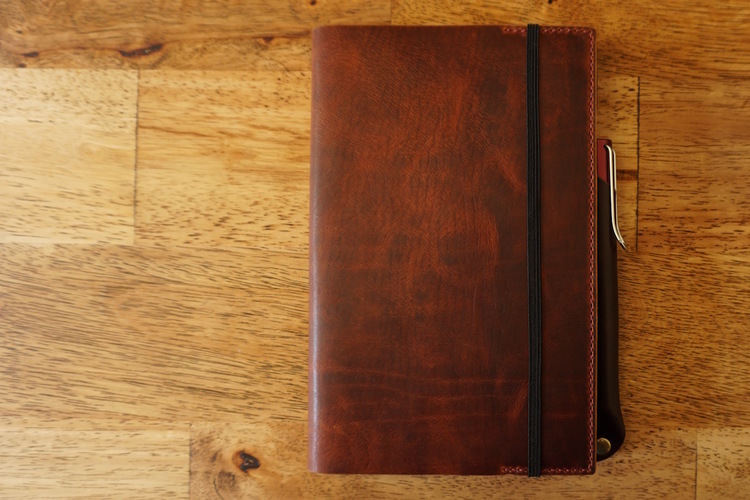 After all this time, I’ve never really kept a private journal for myself. I mean, I wrote stories in black-and-white composition books when I was little and I had my own online journal when I was a teenager (still kind of do), but other people always read these things. My family and teachers enjoyed reading my books and my friends commented on my journal. There was always this audience, even though I claimed to be writing for myself. Well, I’ve finally decided to change that and start writing in a simple brown notebook that no one knows about. No one knows about it and no one reads it. It’s only for my unfiltered, unedited thoughts. There aren’t any stories, just these wide strokes of feelings vomited on to the page. I don’t plan on articulating myself properly with this – it’s mostly just for therapy. Looking back on everything else, I don’t know why I haven’t done this sooner. I don’t know why I didn’t find a place for this before. No big deal I guess, except for how strange it suddenly makes me feel and how it’s made me realize that maybe I haven’t really been writing what I feel, and how, maybe, I’ve still been a bit too safe in how I go about it. If someone finds it, I’m not going to act like a teenager. If they read it, they can be horrified or disgusted or amused. Probably a combination of all the above. It’s also made me realize how awful I am in verbalizing my own feelings. I can’t seem to spit anything out. I usually end up laughing because it makes me so uncomfortable. Maybe it makes me scared. Either way, I seem to treat my emotions like they aren’t really my emotions. Writing about them in a fictional way has never been difficult, but writing about them without the fiction is something entirely different. I prescribed to this same idea a few months ago of writing solely for myself, unedited and uncensored, in tiny notebooks no one would ever read. I think it is healthier to have a balance. To write and clean the slate of your mind is important for your mental health. I cannot for the life of me pinpoint why it took me so long to discover this? It can be cathartic to constantly blog, but I think it definitely can be slightly unhealthy. Not to mention the fact that people begin to view their own life without any emotion at all and live outside of themselves to document it all – all the little bits and bobs – in order to justify the fact that they are alive. I wonder sometimes whether this all feeds into a really negative side of being human. But, I suppose, as with everything, humanity needs a balance, but that balance is so, so difficult for people to strike. It is always too much or too little. I don't think I'd ever stop writing to some extent on the internet, because I've done it for so long, but I think as I age my tone will change. I'll get a little wiser, a little better as a person. Writing for yourself, always, gets easier when you evaluate why you need it in the first place. You'll learn to be an authentic person, but not necessarily a person that waves their authenticity around openly like its a badge or ribbon. Thanks for letting me (giving me the opportunity to) rant. I really do think about the ubiquity of the internet a lot and how that has influenced the ways we communicate. It seems like, even though we are always connected now, other forms of interaction have been lost. A big example of this is how when we don't want to talk to someone, we can always just log off and ignore them that way. Some of us don't share phone numbers or even emails, so it's pretty easy to disappear. There is also a lot of shouting into the ether, but less real discussion. I think it's healthy to an extent, like you said, but I'd like most of my own shouting done in my notebook now. I'd like things like this, things I post on my blog, to be more open for conversation. I'm the same way thats probably why i have a hard time letting go of LJ. Personally, it was a way for me to feel connected and to seek out understanding. Writing privately does help though. I need that connection and understanding too, but I also sometimes just need to throw things down and let them splatter without restraint in order to understand what I'm really feeling. I think I've shown too much restraint and that's caused me to trivialize what goes on in my head (and heart) a lot. Here's to finding a time and place for both.